This week, House Republican leaders held a Capitol news conference to bring greater attention to an issue that could create a crisis within health care, especially in rural areas like ours. Currently, medical malpractice cases must be brought in the county where the alleged malpractice occurred. If that rule is repealed by the court and lawyers are allowed to shop around for a more favorable court venue, doctors’ insurance premiums would skyrocket. When this happened in the early 2000s, doctors closed their practices, moved to other states or retired early. 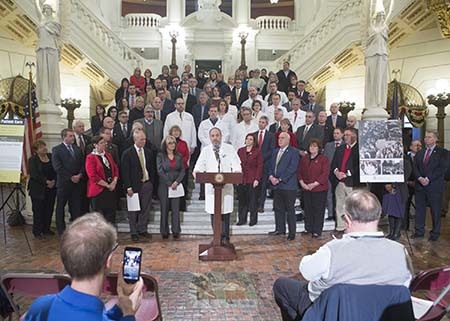 During the news conference, we heard compelling stories from two physicians and a long-term care official who experienced the crisis firsthand and have serious concerns about the future of health care in Pennsylvania. If this change does occur, patients may have to say goodbye to their local doctors or drive farther for care. Additionally, recruiting physicians and specialists would be difficult, and medical innovations may be halted. Overall, patient care would suffer, and everyone would face higher health care costs. Learn more about the issue here. On Tuesday, Feb. 5, Gov. Tom Wolf will unveil his budget proposal for fiscal year 2019-20. We are looking forward to seeing the governor’s proposal and reviewing the details in the coming weeks. The House Appropriations Committee will begin its series of budget hearings on Feb. 11. You can watch the address on my website, RepKeller.com, at 11:30 a.m. and keep your eyes on my social media for updates and reactions. While Pennsylvania has protection for victims written into its laws, a constitutional amendment is the only way to ensure that victims have equal footing with offenders and the only way to ensure that victims have some kind of redress when their rights are violated. Learn more here. 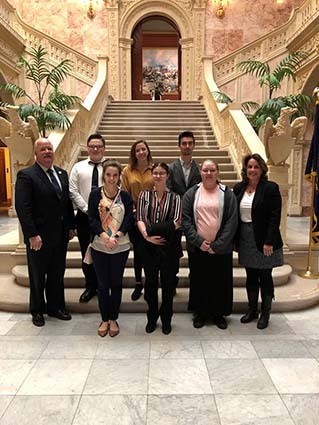 Monday at the Capitol, Rep. Sheryl Delozier and I met with students from Cumberland Perry AVTS. We discussed the opportunities they’ve had in their programs of study and how that helps them identify the careers they want to pursue after high school. Pictured with us are (front row, from left) Rebecca Still, Newport; Victoria Carroll, West Perry; and Hailey Ott, Mechanicsburg. In the back row are (from left) Dalton Kiner and Chloe White, Big Spring; and Anthony Christina, East Pennsboro. The Pennsylvania Game Commission this week voted preliminarily to move the opening day of rifle season for deer to the Saturday following Thanksgiving. The proposal cannot take effect until the board’s next regular meeting on April 9, where they could change their vote upon gathering more information. The commission will send out surveys to lapsed hunters who haven’t bought a license in two years to gauge why they no longer hunt and what could bring them back into the woods – including moving opening day to Saturday and Sunday hunting. 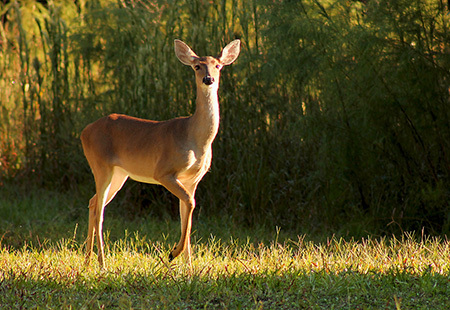 The ban on Sunday hunting would have to be lifted by the Legislature before the commission could address it. Learn more here. Applications for the Property Tax/Rent Rebate Program are now available on my website, and at my district offices. The program is designed to help eligible Pennsylvanians age 65 and older; widows and widowers age 50 and older; and people with disabilities age 18 and older to receive up to a $650 rebate from the property taxes or rent they paid during 2018. Applicants should not pay a private entity for assistance in filing the forms. Remember, my offices can provide that service at no cost. The deadline to apply is June 30. Learn more here.